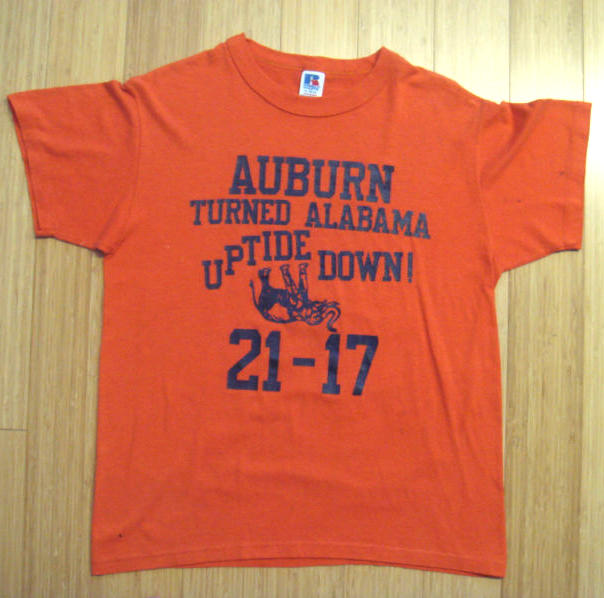 The T-shirts celebrating Auburn Iron Bowl wins in the 1980s were wonderfully cheesy (“I Love the Orange, I Love the Blue, We Beat the Tide 23-22”). The Tillman Reverse (1986) inspired one of the cheesiest. Why not REVERSE TO VICTORY?